The Tipsy Baker: Cheese buldak. Deep breath. Contain excitement. 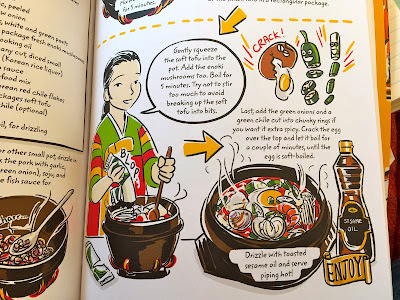 Maangchi is a delightful Korean-born food writer whom I started following on Instagram recently. When she posted a picture of her cheese buldak last week, I shivered with happiness. This, I was going to make. This, I was going to love. If that’s true, buldak would do the trick. Maangchi calls for 1/2 cup of chili flakes plus 3 tablespoons chili paste in her buldak. Read that last sentence again if you were skimming or daydreaming. But I had never heard of buldak until Maangchi posted about it. There are various approaches to buldak, but here is Maangchi’s: chop chicken breast into cubes, mix with a brick-red sauce of chili paste, chili flakes, corn syrup, oil, soy, garlic, and ginger. Buldak is often fried, but Maangchi has you cook it with no added oil in a cast iron skillet. Top with delicious little toasted rice cakes and cook some more. Blanket with a full pound of mozzarella cheese. Broil until the cheese is melted and starting to blister. Devour. Owen had seconds. Mark had thirds. I kept eating scraps out of the pan while I was cleaning the kitchen after dinner. It was even better heated up for lunch today. I want to be clear: This is not some mysterious and miraculous culinary feat. It’s exactly what it sounds like: spicy chicken, starchy tidbits, and a ton of melted cheese. And if that sounds fabulous to you, you will think this is fabulous. Would buldak be better with beef or pork or chicken thighs? Possibly. But chicken breast feels right to me, a bland, sensible counterweight to the bounteous fats and flavors of the sauce and cheese. Maangchi says that the rice cakes are optional, but I would disagree. Find a Korean market and buy some if you want this dish to rise to its full, decadent glory. I served it with rice but that was like serving nachos with rice, lasagna with rice, pizza with rice. No rice. Maangchi’s cheese buldak. Recipe here. If you make it, let me know what you think. On another subject, I want to thank the person who recommended Cook Korean! 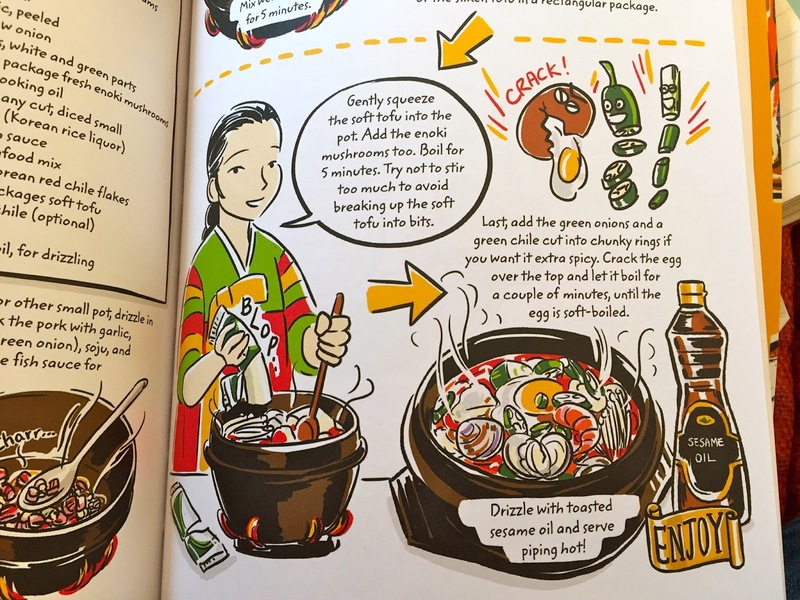 Robin Ha’s comic book with recipes. (The illustration at the top of the page is from the book.) I love it! I would recommend Cook Korean! to anyone who is interested in an accessible introduction to Korean home cooking. It is clear, precise, thorough, lively, and charming. I’ve only made one recipe so far, the stir-fried pork, but it was the best of the three version I’ve tried. Did you in any way cut back on the chile stuff? I am mos def making this. No, I didn't, but we are very tolerant of heat. If you aren't, I would. Did you use the full amount of all that spice? That Wikipedia entry does seem fishy. For one thing, I don't think you can patent a name. 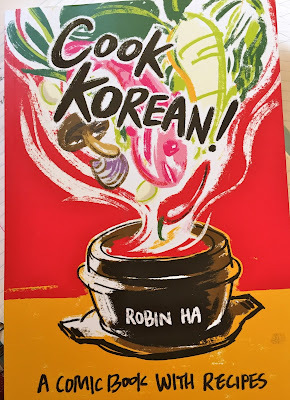 My copy of "Cook Korean" just came today. Banchan deliciousness, here I come! The acorn jelly salad -- that was interesting. I think you can skip it. You're welcome! 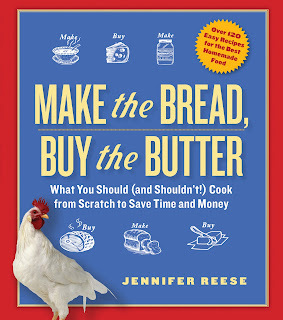 Glad you liked the book and that the first recipe you tried worked! 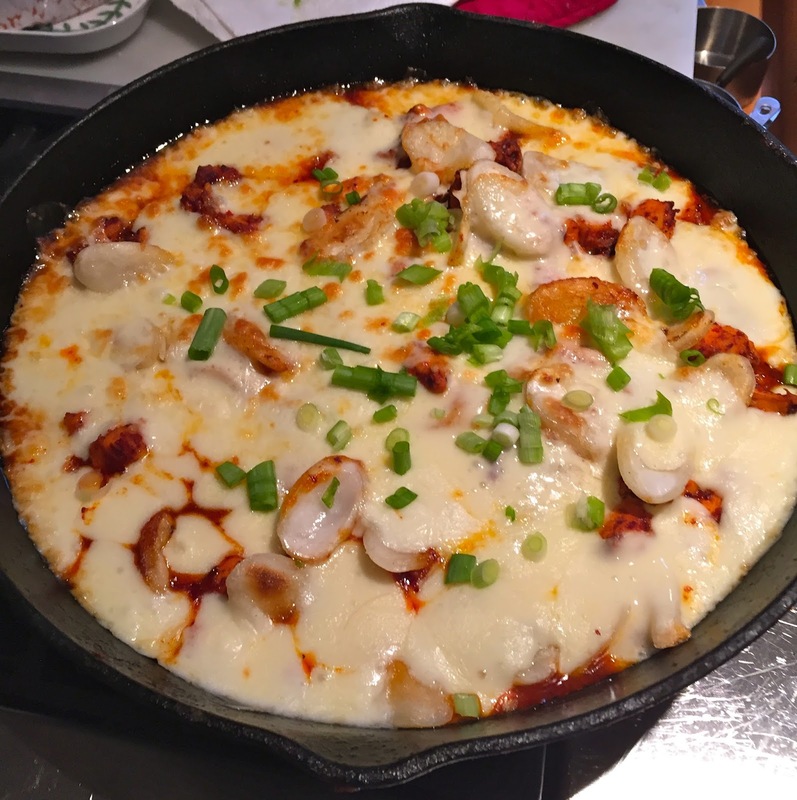 I still think that fire-chicken-with-cheese sounds totally un-Korean, but like delicious fusion junk food. When I first read about Maangchi a few months ago, I asked my Korean friend if she had heard of her-- she was like "duh, yes" (but more politely). I think it is like asking a British person if they've heard of Gordon Ramsey. It's definitely fusion junk food. Have you watched Maangchi? She's very funny. I keep wanting to say "adorable," but I worry that's sexist. I am definitely going to make this for my son and I. As for my husband, I'll have to make something else for him; he doesn't have the heat tolerance the rest of us have. But I love gojuchang. I think I've trained my family to endure heat. I can't believe they ate it without complaint. Thanks for the tip on the book. Here's a tip for you; I recently finished The Nix by Nathan Hill and liked it a lot. If you start to read it, stick with it. I found it got better and better as I went along. Full disclosure, I listened to the Audible version; great narration. Thank you, I will listen to this. The Chile Chicken Stew from Cook Korean! is also delicious and easy. 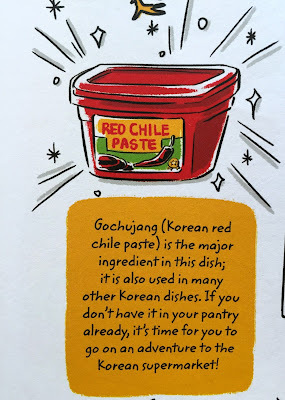 Her directions are so clear and accessible that I am even considering trying to make my own kimchi. Kimchi is easy, be not afraid, go for it! Kimchi is really easy and rewarding, as beckster says. I didn't find it overly spicy but I am tolerant of spice. The cheese and rice cakes offset the spice, too. I'm so glad to hear that this was good because it looks amazing! I'm going to try it next week. This sounds like the Korean version of poutine! Perfect drunk food! The rice cakes really made this dish for me. I scaled back on the chile only a tiny bit, and if was not too spicy at all---next time I will go all out. Thanks for introducing me to something I might not otherwise have tried! Yes, it was the rice cakes. I like Wendy's comment below & will increase rice cakes next time. So . . . very popular here, too. I did not cut back on any of the chili stuff (and Sara, it was NOT painful, it was fine), I used a bit more in the way of rice cake slices (like, 1.5 cups), I used 2 green onions because I like to live dangerously. I will be making it again; it really satisfied some urge or other. What is that urge? I know exactly what you mean. I made this as I happened to have all the ingredients on hand. Flavor was good, however, I didn't have a cast iron pan, and I thought there was too much liquid with the extra water. I could not get a good sear on the chicken, and therefore overcooked it by steaming it. Has good potential,though, by maybe by grilling the chicken first? Rice cakes and cheese make the dish, I agree. That's too bad. Maybe omit the water, I guess? Hi!, I just found your blog via Facebook. I've to say that I'm also a big fan of Maangchi. Will visit your blog again in the future for sure. Do you have a mailing list I can subscribe to? Thanks!